Get more information here. Contact usContact us to get involved. Banners Dropped Across the Country – End Detentions! October 21, 2016 — As immigration detainees continue their third hunger strike, allies across the country dropped banners insisting on ‘Indefinite Resistance to Indefinite Detention’. Two months from the date that Minister Goodale promised changes to the immigration detention system, 17 immigrants, jailed without charges and trial at the Central East Correctional Centre have begun to refuse food as of October 17. The immigration detainees are calling for an end to indefinite detention, with a 90 day limit on detentions, as an initial step to ending detentions. Ali, a 50-year-old Ghanian asylum seeker has been in Canada since December 1986. He has a 26 year old daughter in Newmarket and a common law partner. He was put in immigration jail in 1994, and deported to Ghana on fake Canadian travel documents in 1996. As a result of being deported on forgeries, he was jailed in Ghana for 10 months. He was then returned to Canada, where he was placed in immigration hold until 1999, when he was abruptly released without ID, work permit or social assistance. Ali struggled to make ends meet, and was rearrested in 2009, and has been in indefinite immigration since. “We have been on hunger strike twice this year, most recently for 19 days, at the end of which we were promised real change. The Minister went on the record and said that immigration detention is broken, but he did not specify long-term and indefinite detention which impacts many of us, separating us from our families and making us sick. Consultations were promised, and yet, have not taken place directly with detainees, while we are the primary stakeholders. We want an end to indefinite detention, we don’t want to be locked up in maximum security prisons, we want real access to effective legal remedies to contest our detention,” stated one of the strike organizers, on behalf of the 17. 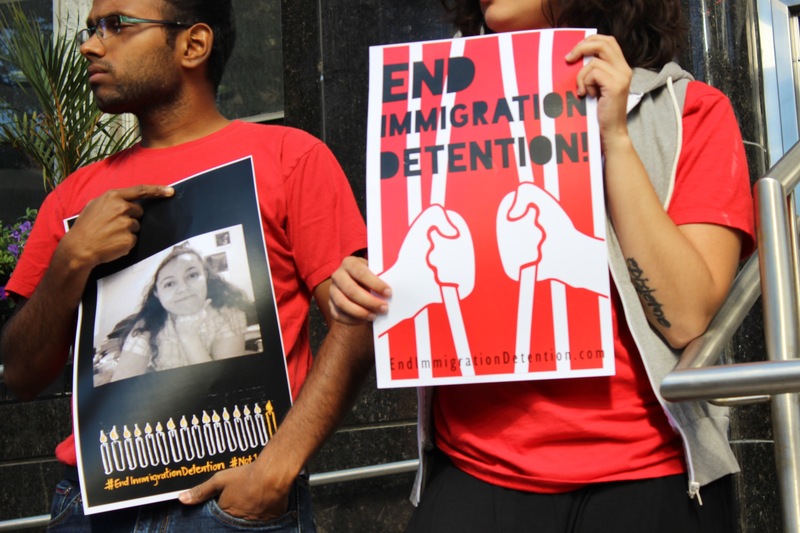 Read End Immigration Detention Network’s analysis of what has been happening in immigration detention and the recent announcements here. 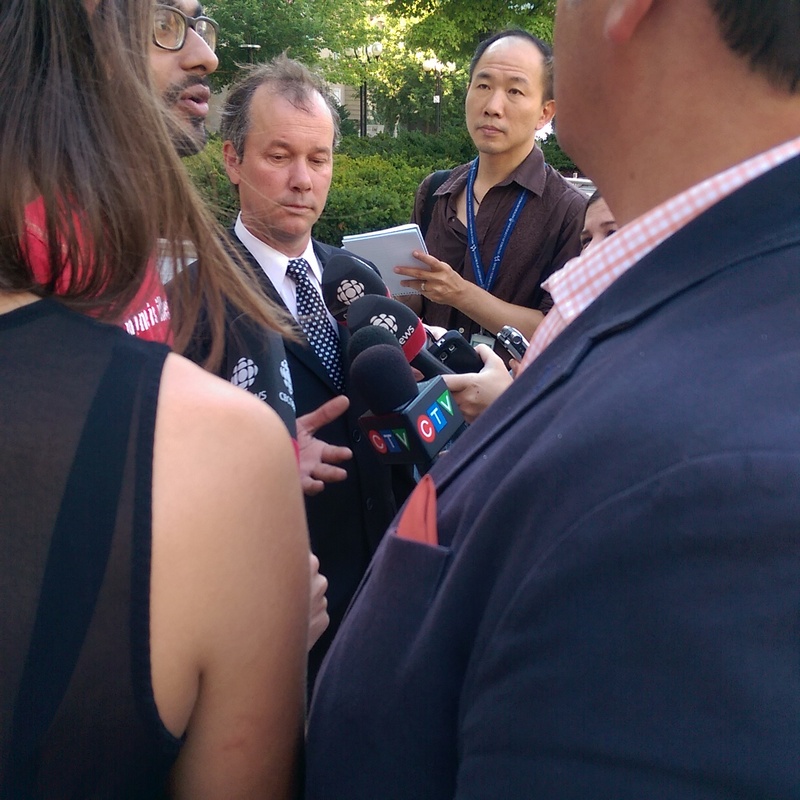 Toronto, August 30, 2016 — The End Immigration Detention Network is raising concerns about the suspicious and sudden promise of travel documents in the midst of Mr Alvin Brown’s fight to be released from detention being heard by the Ontario Superior Court this week. Mr Brown has been under a removal order since 2005, and has been imprisoned since September 2011. Canada has not been able to secure travel documents from Jamaica to date. Today, as Mr Brown for the first time is finally getting his day in a court where litigation may result in his release and reparations, the Canada Border Services Agency (CBSA) has produced an email from the Jamaican consulate promising issuing of travel documents. “Why did it take 11 years for CBSA to get the promise of a travel document, and how did it suddenly happen in the midst of litigation? The public should be gravely concerned about the possibility of CBSA strong arming foreign governments to subvert the establishing of precedent and good case law. One may think this was coincidence had the exact same thing not happened in our previous Habeas attempt in the case of Michael Mvogo and Glory Anawa. In any case, we need the Federal government to step in, rein in CBSA, place a 90 day limit on detentions, end maximum security imprisonment, and overhaul the judicial review process as initial steps to ending immigration detention.” said Syed Hussan of the End Immigration Detention Network. Mr Brown’s case is only possible because the Ontario Court of Appeals asserted jurisdiction in a previous immigration detainee group Habeas Corpus case in 2015. The two lead claimants in that case where Mr Michael Mvogo and Ms Glory Anawa. Before Mr Mvogo and Ms Anawa could have their hearing on facts – which is what Mr Brown is engaged in this week – both of them were deported. A third claimant, Ms Amina Chowdhury was offered a settlement by CBSA and so no case law was created. Mr Mvogo at that point had been in detention for nearly 10 years, and Ms Anawa for almost four years and travel documents, previously unavailable, were suspiciously produced in the midst of litigation in 2015 too. Jamaica relies heavily on Canadian aid. The Canadian Special Operations Regiment is currently based in Jamaica. Over 8,000 Jamaican farm workers came to Canada in 2016 under the Seasonal Agricultural Workers Program. Jamaican Minister of Labour and Social Security Shahine Robinson was visiting Canada just earlier this month. All of this, in addition to the suspicious timing of Mr. Brown’s travel documents, leads to serious concerns of CBSA engaging in strong-arming the Jamaican Government. Toronto, August 30, 2016 — The Ontario Superior Court is set to hear a historic case today, when it will call on Canada Border Services Agency (CBSA) and the Department of Justice to justify the imprisonment of Alvin Brown, detained since September 2011. This is an almost unheard of occurrence where a provincial court is stepping in on a federal immigration detention matter. Detainees, advocates and even the United Nations in 2014 have insisted that there is no fair judicial oversight of immigration detention in the federal system. The Ontario Court’s decision to hear this case justified this position. The End Immigration Detention Network, which is supporting Mr Brown, is insisting on a fundamental overhaul of federal immigration detention including overhaul of the judicial oversight process, a 90 day limit on detentions, and end to maximum security imprisonment as initial steps to ending immigration detention. Mr Alvin Brown, forty, has lived in Canada since the age of eight. He was a permanent resident, but is now subject to a removal order to Jamaica. That removal order, however, cannot be executed. Notwithstanding this fact, he has been detained “for removal” for nearly five years, since September 2011. 15 people have died in immigration detention since 2000, three in just the last six months. Canada is one of the few countries in the world without a limit on detentions, and a third of all immigration detainees are imprisoned in maximum security provincial jails primarily in Ontario. In July, immigration detainees across Ontario went on hunger strike in support of their demands and requesting a meeting with Ralph Goodale, Federal Minister for Public Safety. Detainees have continually asked for a clear commitment from political representatives to bring Canada in line with international best practices and end indefinite maximum security detention. Over 17,000 people have signed a petition in support. Two weeks ago, Minister Ralph Goodale announced a prison build program as part of overhaul of Canadian immigration detention, but did not deal with the fundamental issues of indefinite detention in maximum security prisons without judicial oversight. Since 2000, at least 15 immigrants have died in CBSA custody, 3 in just the last six months. At least 8 of the deaths took place in Ontario provincial prisons. Most common cause of death is denial of adequate health care followed by suicide. CBSA has never publicly revealed details of all the deaths in its custody. If convicted for a crime, immigrants unlike citizens are punished three times. First, for the crime itself. Second, by having their immigration status revoked or if it’s in process, denied, and pushed into deportation. Third, by being jailed, in some cases indefinitely.